Just because you have found some free videos showing you some Day Trading Strategies that have been/are being traded by professional traders does not mean you have found the Holy Grail (it does not exist!) There is a lot more to trading than the technical part of a strategy. In this video we provide you with some tips of how to best use these videos. First of all these videos are primarily meant to be for inspiration only. You can use either part of it or all of it but you need to combine it with your own style of trading. You need to be comfortable in your day trading strategy otherwise you will never be consistent or be able to obtain the right mindset. Another tip is to watch our other free videos on the indicators so you know exactly what the indicators are telling you not just how a signal occurs but why does the signal occur. Learn the basics first before putting together the indicators. A very important tool is the simulator but sadly it is very often overlooked by traders. Both new traders and experienced traders should use a simulator when trying out new ideas or strategies. Never put real money to work on a strategy that has not been fully tested in a simulator and not just after 1 simulated trade. New traders are very often in a hurry to make money and they lose focus and start trading with too big positions. When trying out new strategies, even after an extensive test on the simulator, always start with minimum position size. In stocks that mean 100 shares and in futures it means 1 contract. Alternatively use the SPY when trading ES or QQQQ when trading NQ. This way you can go in with an even smaller position than 1 contract measured in Dollar terms. To really test a new strategy you have to keep a journal of your trades and you need a decent sample before you can make any conclusions on the success or failure of the strategy. 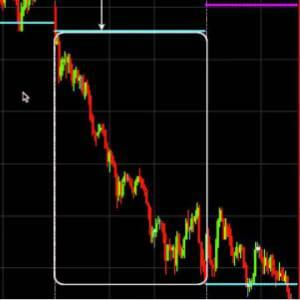 We recommend minimum 20 trades before you have any idea if the strategy might work. Do not trade 3 times (and they are all profitable) and then think the strategy is amazing. You might just have been lucky that those 3 trades was in the right market conditions. Do not be in a rush to make money. There is always a new trade coming up. Have patience and take it slow. When you become consistently profitable you have the rest of your life to trade. Rushing day trading will cost you money!